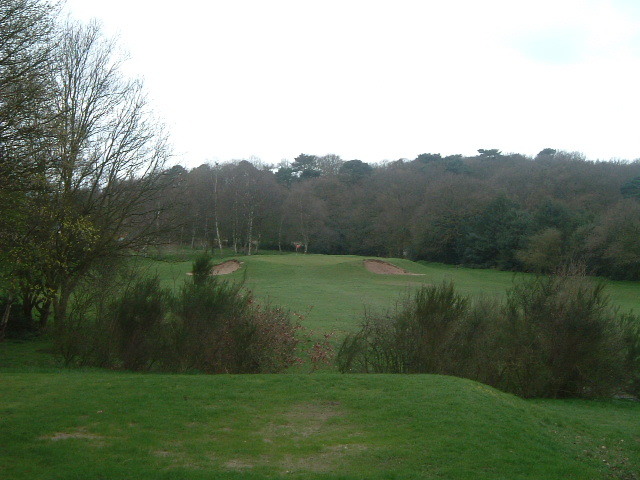 A view from the seventh tee. All the trees along the right hand side are out of bounds. The green cannot be seen as it is a blind tee shot.